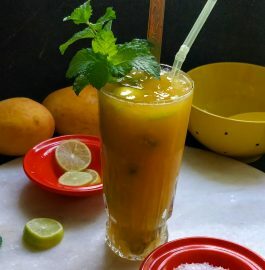 Muskmelon Mint cooler becomes mandatory to try this summer. 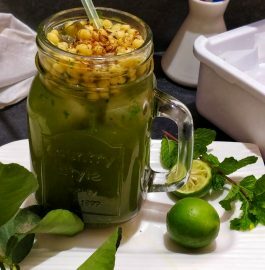 Stay cool with this amazing drink. Melons are usually very good summer fruits as they are nutritious and also keep us hydrated! 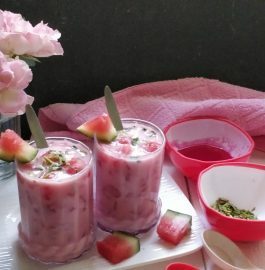 The melons that you get in summer also have a special sweetness and rich in flavour. 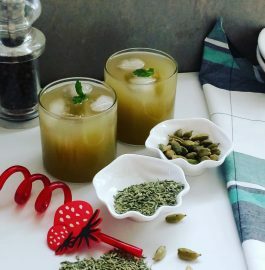 When such ingredients go into the making of Muskmelon Mint cooler mocktail recipe, then who would not want to try it on? 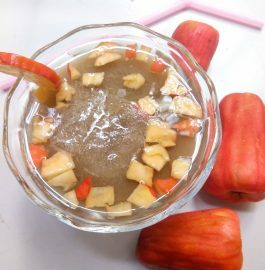 This is a must try recipe for this summers. So, try it out at your end and let us know how was it. 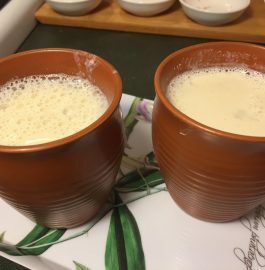 If you do not have Nannari Sharbat at home then use jaggery or sugar to sweeten the sharbat. 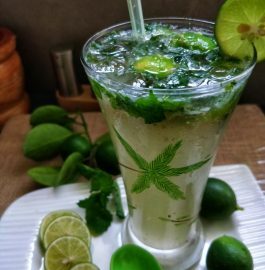 You can adjust the quantity of mint leaves as per your taste and liking. 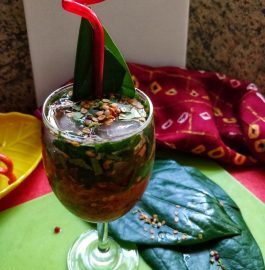 Always grind the mint leaves separately and pass through a sieve before mixing with muskmelon juice. 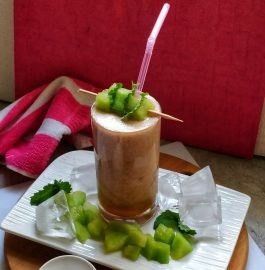 Take Muskmelon pieces (without skin and seeds) into a mixie jar and grind it till smooth. Transfer the Muskmelon puree into a bowl. 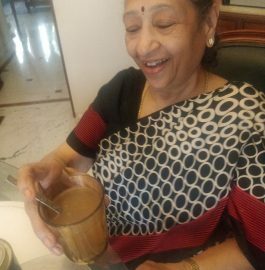 Take washed Mint / Pudina leaves in a mixie jar, add little water and grind it till smooth. 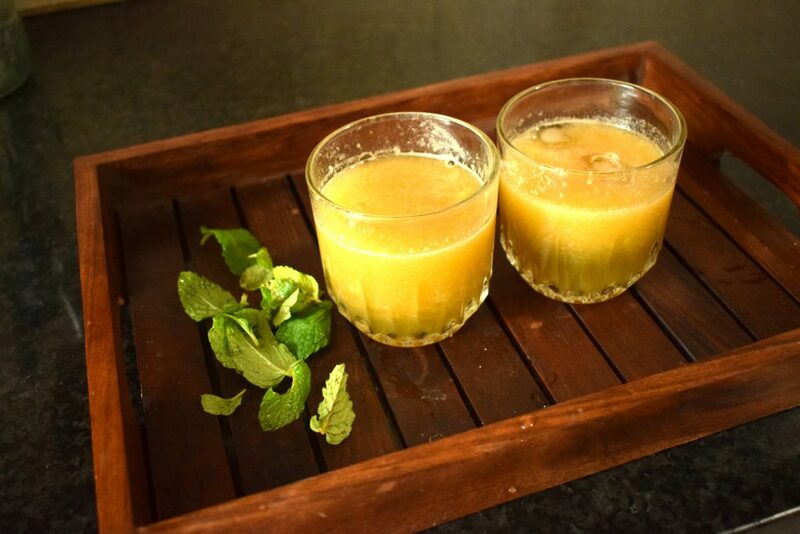 Pass this Mint puree through a seive and add the Mint juice to Muskmelon puree. 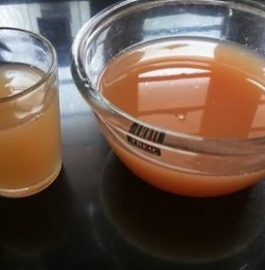 Add the Nannari Sharbat and water to this mixture. Squeeze lemon juice into this mixture and mix everything well. 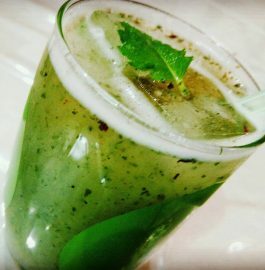 'Muskmelon Mint cooler' is ready to be served with some ice cubes in this hot weather!